SIMI VALLEY, Calif. – Police shot to death a coyote they believe attacked four children, including a 3-year-old who was hospitalized with bites to his neck, face, head and ear, authorities said Monday. Officers were first summoned to a home where witnesses said boys ages 2 and 3 were attacked as they played in their back yard. The coyote bit one of them on the right ankle and the other on the left ankle before neighbors chased it away, May said. The animal then surfaced a few blocks away, where it scratched a 7-year-old boy on the ankle. While searching the area for the coyote, the officers got a report that it had surfaced again, near Canyon View Drive, where it grabbed a 3-year-old boy by the head and attempted to drag him away. The officers located the animal and opened fire after it threatened to attack them, May said. It was struck by two bullets. Read the full account here. One boy, Weston Field, while on his porch, was bitten on the face, ear, neck, hand and head by the coyote. CHINO HILLS (KABC) — The father of a 2-year-old attacked by a coyote, and the babysitter that pulled the girl from the animal’s jaws, speak out about the terrifying animal encounter. The 2-year-old girl is doing well after the coyote attack last week. Meanwhile, a search by wildlife officials has turned up nothing. Alterra Park is where the attack happened last Friday. The baby was playing in the sandbox when all of a sudden, a coyote came out from the brush alongside the park and attacked her. The park is closed until further notice. The child is going to be OK, thanks in large part to quick action by the babysitter who jumped in, pulled the toddler away from the coyote, rescuing her. Three days after being attacked by a coyote near her home, toddler Madison Schuler is doing just fine. On Friday, police say the little girl was playing outside when she was suddenly attacked by the coyote. The animal bit her three times, but her babysitter, Alejandra Morales, came to her rescue. The U.S. Fish and Game Dept. 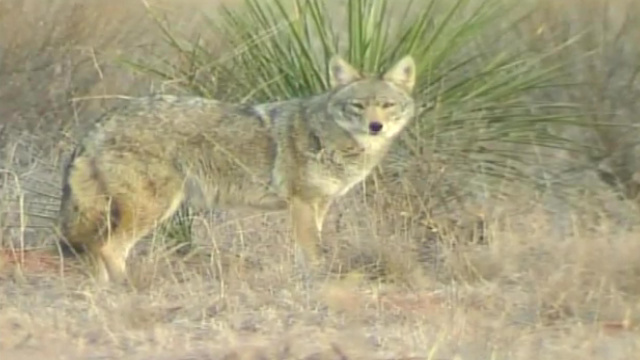 says coyotes are generally afraid of humans, but their behavior can be erratic. Meantime, Madison’s father is glad to hear two animals were caught on Sunday. “My wife actually received a call today saying they may have caught at least two coyotes, and one of them fits the description of being injured. So they may have the coyote but there’s no way to tell if it’s the same one that bit Madison,” said Matthew Schuler. The family is hoping that authorities did catch the animal that attacked Madison. Alterra Park is closed until further notice. 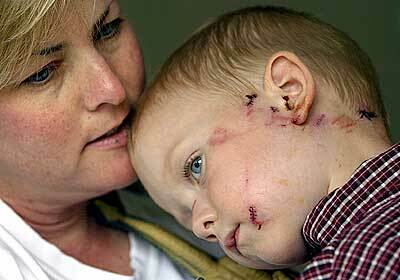 It’s worth pointing out that this isn’t the first attack in the area: Last October a 3-year-old was attacked by a coyote. That child is also OK. Authorities tell people to keep their pets inside. If you happen to come across a coyote, generally they are afraid of humans. Make noise, the experts say, and do your best to scare the animal away. Chino Hills officials urge residents to learn the steps they should take to live safely near open space areas and wildlife. Residents need to take steps to protect their children and small pets at all times, even in their own back yards, their front yards, and at all local parks. Children and small pets should be supervised at all times and should not be left outside alone. Pets should be fed inside if possible. Outdoor food and water dishes should be removed when pets finish their meals. Residents should never leave water or food out for wildlife. Trash cans should be covered and not over-filled so as not to attract animals scavenging for food. If a resident sees a coyote, they should make loud noises, throw rocks, jump around, or spray the animal with a garden hose. Walkers may want to carry a stick and wave it if they encounter a coyote. Hikers, equestrians, and others who enjoy the City’s 38 miles of trails need to use extra precaution because most of the trails are surrounded by open space. Ed Mills was standing on his deck in Malabar on Wednesday evening when he heard screaming and gunshots. Minutes later he heard ambulance sirens. Turns out , a 54-year-old woman who lived nearby on Hall Road had been attacked by a coyote and was transported to Palm Bay Hospital. A family member shot the animal dead. Brevard County Sheriff’s Deputies received a call at about 2:50 p.m. that a resident had spotted a coyote in the 2000 block of Duncil Lane, but the resident said the wild animal disappeared into an area of forest, according to Maj. Vic Desantis. At about 5:30 p.m., a woman on Hall Road called to say her mother-in-law had been bitten by a coyote and that she shot the dog. Mills said the residents of the house where the woman was bitten moved in recently and he doesn’t know them well. He didn’t see the attack, but he did see the dog’s carcass. Laurie Smith, a neighbor who also lives on Flashy Lane, said she’s not worried about the coyotes in the area. She’s home during the day, and her three horses are kept inside at night. Brevard County Animal Control and Florida Fish and Wildlife Conservation Commission also responded to the scene to deal with the coyote carcass. Desantis said the carcass likely will be tested for disease. Desantis urged Brevard residents to be careful around wild animals. “Wildlife is just that, it’s wild and best left alone if at all possible,” he said. “The same holds true for alligators and other critters. MALABAR, Fla. (WOFL FOX 35 ORLANDO) -A 54-year-old woman attacked by a coyote in Brevard County is being treated in a hospital. Sheriff’s officials say the woman was attacked Wednesday and taken to Palm Bay Hospital. Authorities have not released her condition or name. The attack happened in Malabar along Florida’s east coast. A woman called authorities to say her mother-in-law had been bitten by a coyote. The caller said she shot the dog. Brevard County Animal Control and the Florida Fish and Wildlife Conservation Commission responded to the scene to remove the carcass. Authorities say it will be tested for any disease. Earlier this year, trappers were called to a Merritt Island neighborhood to track down a pack of coyotes living in an old abandoned orange grove. Residents along South Tropical Cove reported missing pets and suspected that the coyotes were to blame. 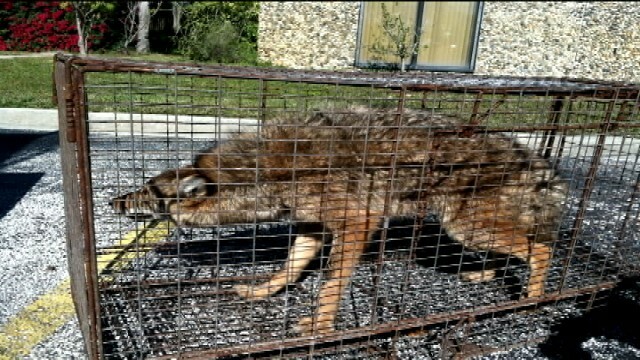 Just last month, in Orange County’s Dr. Phillips neighborhood, FOX 35 caught up with a trapper who told us that coyotes that are used to the presence of humans should be considered very dangerous. He said trappers will often use anvils, special cages or BB guns to rid a neighborhood of the nuisance animals. Coyotes are usually three to five feet long and hunt small animals. According to the Florida Fish and Wildlife Commission, their interaction with humans is becoming more common. AUSTIN — A 14-year-old boy is getting rabies shots after he was attacked by a coyote near his home in Northwest Austin. The attack happened last night at dusk. The boy says he was on a trail behind some homes when he saw the coyote. He says it got closer and eventually knocked him down. The 14-year-old showed KVUE the scratches the coyote left behind. Now he and his mother want other people in the neighborhood to be aware these coyotes aren’t afraid. Plus, his mother, Stephanie Douglas, says his doctor and the health department recommend her son get rabies shots. Texas wildlife services was out Monday to look into the area where they boy was attacked. They say lots of sightings and animal attacks are reported, but that this is the first report of a person attacked by a coyote. They say some of the reportings turn out to be gray foxes. Wildlife services says they’ve set up traps in some areas of Austin. They’re still looking into what to do in this case. Neighbors in the area also say they’ve encountered aggressive coyotes. Bennett said the woman was taken to Jordan Valley Medical Center where she was treated with “a few stitches” and released. Brett Prettyman is outdoor editor at The Salt Lake Tribune. SALT LAKE CITY — Utah officials say a coyote that attacked a guard at a Kennecott Utah Copper site in Salt Lake City tested negative for rabies. The woman was sitting in a booth Monday night when the coyote entered through the door and lunged at her, Kennecott spokesman Kyle Bennett said. The coyote bit the woman before she was able to get it out of the security station. A Unified police officer responded and fatally shot the animal. The animal’s head was sent to a laboratory managed by the Utah Department of Health for a rabies test. Results of those tests Wednesday showed the coyote did not have rabies, said Leslie McFarlane, wildlife-disease coordinator for the Wildlife Resources Division. The rest of the coyote was sent to the Utah Veterinary Diagnostic Laboratory for a necropsy. McFarlane said the results of those tests are expected sometime next week. The guard was treated with a few stitches and released from the hospital. John Shivik, mammal program coordinator for the Utah Division of Wildlife Resources, said the animal looked healthy but that more may be known about what led to the attack after the laboratory tests. At least four bats from across Utah have tested positive for rabies this year, but it is uncommon for other mammals to carry the disease, McFarlane said. Kennecott owns about 100,000 acres in the Oquirrh Mountains, west of the Salt Lake Valley. Bennett said there have been no other reports of coyote problems there. Two young men (older boys) , two coyotes and dog. They had had to fight off the coyotes to save the dog.